Here is our racing schedule for 2015. 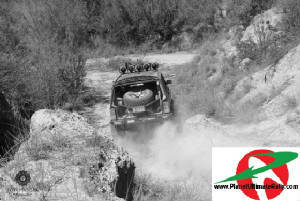 We only race events organized and santioned by ULTRA 4 RACING®, FIA WRC®, FIA IRC®, W.E. Rock®, PURA®, NORRS®, KING OF THE HAMMERS®, GORM® (German Off Road Masters), JEEP KINGS®, and FIA Cross Country Rally World Cup. These are world class events in the USA, MEXICO, SCANDINAVIA and EUROPE. 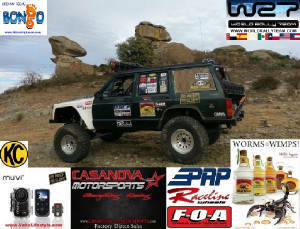 are covered by ESPN, Pinned TV, Fuel TV, Pirate 4x4 TV, FOX SPORTS, ESPN2, EUROSPORT, DIRT NEWS, WICKED MAG, RALLY BUZZ, Crawl Mag, WRC TV, WORLD RALLY SPORTS MAG, Motors TV, OFFROAD MEXICO BFG NEWS, ZONA CAR MEXICO, DISCOVERY CHANNEL International, Dirt Sports, National Geographic Channel, Motors TV, Top Gear, Powernation Tv, CBS Sports, NBC Sports, SPIKE TV, Univision & More! 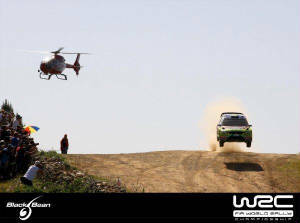 WRC MEXICO 2010 - 300,000+ spectators and growing! 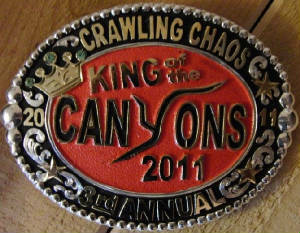 The first true outlaw offroad and tarmac cannonball race in the Americas! 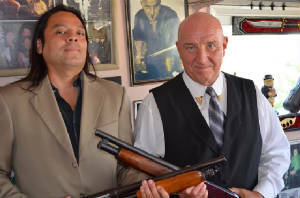 Ponce the Minority Racer plays a Drug Lord in Gatwick Gangsters Film. Click here to see more Bongo! WRC is televised in 188 countries in 21 languages, including the Discovery Channel HD, with a total audience of 816 million. WRC MEXICO has an attendance of more than 300,000 spectators. Ponce and Bill Bridge returned to colonial Guanajuato Mexico in 2010 as the local favorite team for the 2nd time to race against the top world teams. Ponce is the only Mexican American driver to ever finish 2 consecutive WRC Mexico events, without any prior rally experience in 2008 and 2010. Ponce is also the first and only team to represent the host city of Guanajuato. The team plans to add a WRC Europe event in the future. Their FIA homologated Peugeot is valid to race until Dec 2013 at any FIA event, so who knows what can happen. Many have tried to copy what Ponce has accomplished at WRC Mexico but have not succeeded. Ponce finished a WRC with zero rally experience in a rental and named rookie driver in his class back in 2008. Then returns in 2010 with another rally car that he ended up driving from central Mexico up to the USA to prep then back down to WRC, raced and drove back to the USA in the rally. Ponce used the excuse that he drove the Peugeot rally car because he wanted more seat time, but the truth was that was his daily driver at the time! Ponce finished took a second place in 2011. 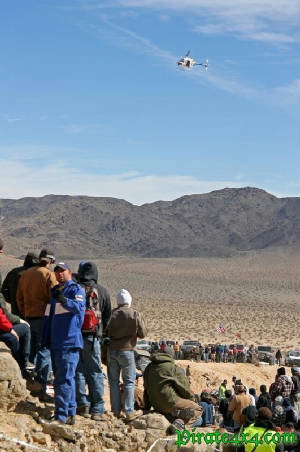 The King of the Hammers race has grown since 2008 to be the Ultimate Desert Race in the world and now has over 50,000 spectators, Ponce is the first and remains the only Mexican American racer to ever participate and finish in the King of the Hammers. He began back in 2009 with adpoted co-driver Heath Catron in a rig built by John Despain. 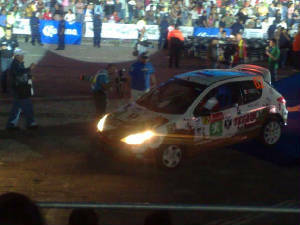 Later, Ponce partnered up with Bill Bridge, his WRC Mexico co-driver, for KOH LCQ 2010 where they put on a great show for their Mexican American fans. KOH is covered by Pinned TV, ESPN, Spike TV, Speed Channel, Fox Sports and popular magazines such as Crawl Magazine, that prints 80,000 magazines per month and are distributed in the USA, Canada and Europe. 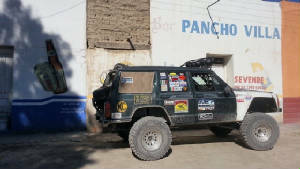 Ponce returned in 2011 with new teammate Dave Gutwillig in an Ultra 4 rig built by Dave & Javier Ibarra's Gulf Coast Crawl Shop. They raced as an international guest star team representing Team Mexico, and stepped up to the challenge of finishing this endurance race by starting and finishing in 37th spot, despite all their adversities and limited resources. No other team has been able to accomplish this goal in the history of KOH. 4 Movies have been released by Pinned TV, "First Crusade", "Second Crusade", "Anarchy" and the "Valley of Kings". 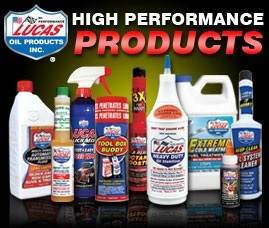 WRT appears in 3 of the recent movies. King of the Hammers is an Ultra 4 Racing sanctioned event. 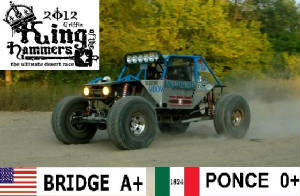 Bill Bridge and Ponce returned in 2012 in a new Ultra 4 rig built by Bridge, they ran an excellent Pole Position race. 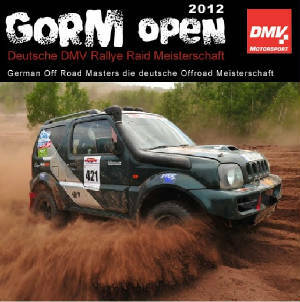 The GORM (German Off Road Masters) 24hr Race is an intense endurance off road rallye race with multiple vehicle classes held each year in Schwerin, GERMANY. This world class event is a televised event. 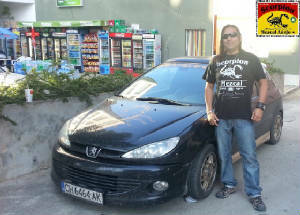 This was the first time a Mexican American participates in an off road endurance rallye race of this kind in Germany. Ponce partnered up with professional race car driver Michael Podlogar and Dennis Meyer of WERK-1 Racing Team for this event, Paris Dakar winner Jutta Kleinschmidt also joined the team, they raced in a Petrol Suzuki Jimny 4x4 and placed 5th in Class T1 and 16th overall out of 45 teams..
Ponce, the Minority Racer, helps guide 4 USA and 1 Australian Team from south Texas to colonial Guanajuato for the Maya Rally 2012. 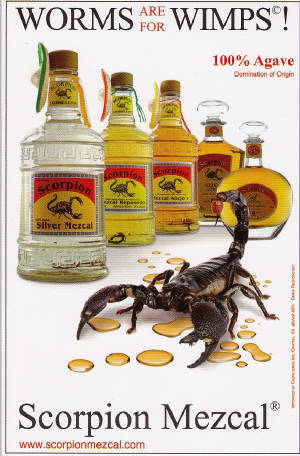 He managed to safely guide them thru Nuevo Laredo, the most dangerous bodertown in the Americas. He also assisted by guiding the teams to a private extreme rock crawling trail run at the privately owned Planet GTOROCKS park in Guanajuato Mexico that he founded back in 2000. The SCORE International Baja races re the toughest, most spectacular off-road races in the Americas since 1962 and are covered by several major networks at a worldwide level. 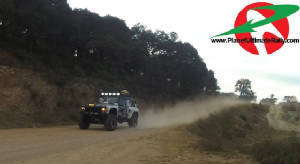 In 2013, Ponce had an opportunity to pre run the Baja 250 and 500. Ponce has been offered a racing opportunity with a European Team and will be taking on the Score Baja challenge in the future once the European team finishes their rig. Ponce plans on using all the skills that he has learned from past multi world class motorsports where he managed to finish even though he had zero experience in those motorsports; such as UROC Super Crawl 2006, WRC 2008 & 2010, MXRRA 2007-2009, Venezuela Extreme Rally 2009, King of the Hammers 2011, Nordic and Euro Trials 2007, GORM (German Off Road Masters) 24 Hour Race 2012, and the Ultimate Rally Mexico. 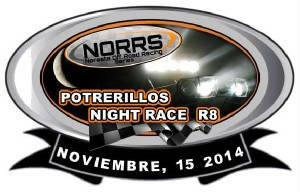 So keep an eye on this unique Mexican American Minority Racer in the Baja 2014 season. The FIA Baja Poland race is the most popular televised FIA cross country off-road rally race in Europe that consists of 800kms (500miles) held in the desert like terrain of Szczecin Poland. Ponce is excited to use his unique old school navigational and driving skills in 2014. This will be the first time a Mexican American team competes in the FIA Cross Country World Cup Rally Series. Baja Poland Promo Video from PZM on Vimeo. Ponce explores the infamous Isle of Man during the TT 2014 Race to try and include some of the race course into his Ultimate Rally project. The Isle of Man welcomed the Minority Racer well and many contacts were made, along with the chance to drive the actual roads. The racing action and carnage that he witnessed during his visit proved that this area had to be part of the Ultimate Rally. 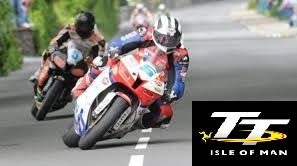 Stay tuned for more Isle of Man action! 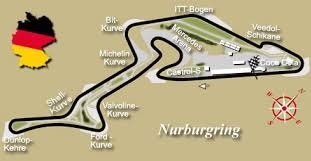 Back in August 2012, while racing and finishing the GORM 24 Hour Race some teams challenged Ponce to go try the Nurburgring alias the Green Hell tarmac track in Germany. Well, that the Minority Racer took on the challenge June 15 2014 and he loved so much that he plans on also including this stage in his Ultimate Rally project. Bongo!